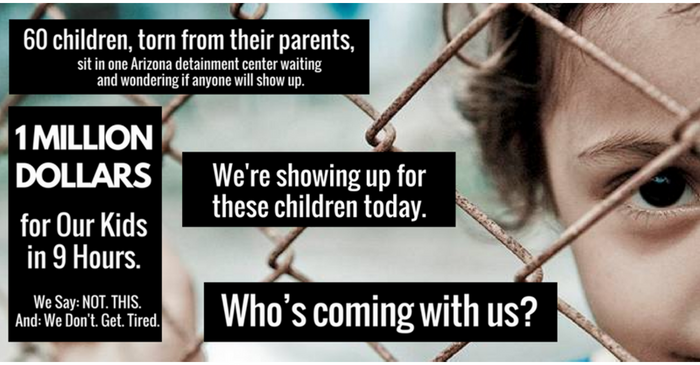 $4.2 Million total raised ($1 Million raised in the first 9 hours) during an emergency Love Flash Mob to provide advocates and legal representation for children separated from their families at the border. 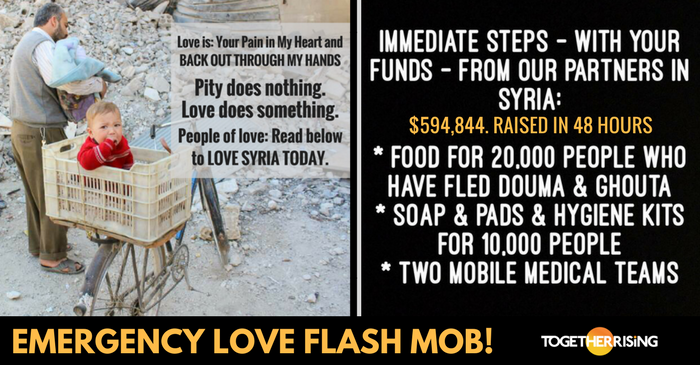 $594,844 raised in 48 hours during an emergency Love Flash Mob to provide the besieged people of Syria with food, hygiene kits, and mobile medical teams. 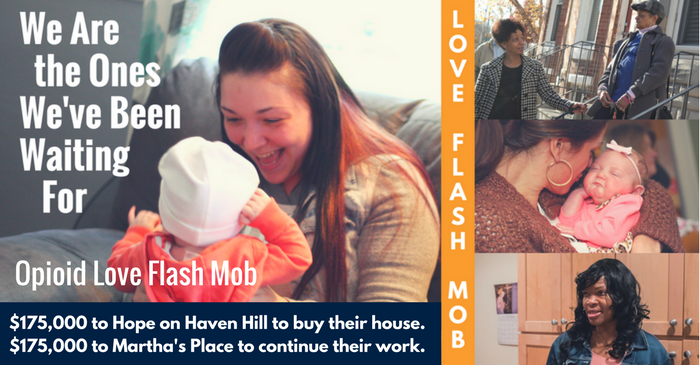 $350,000 – half to buy the first transitional home in New Hampshire for mothers recovering from opioid addiction and their babies, and half to fund life-saving, community-healing recovery work in Baltimore. 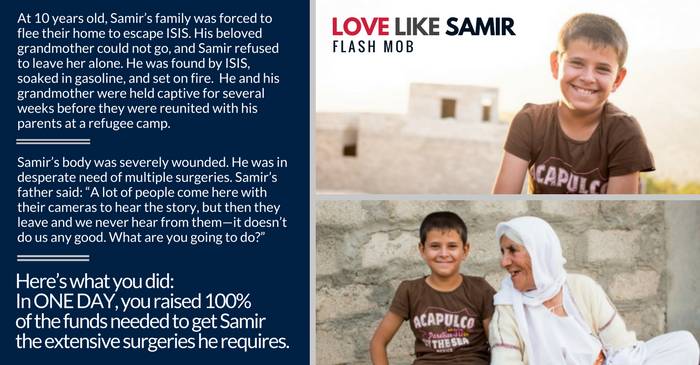 $215,000 to ensure that 10-year old Samir, a child severely wounded by ISIS, received the treatment needed to heal, and to provide several internally displaced families with food, shelter and protection. 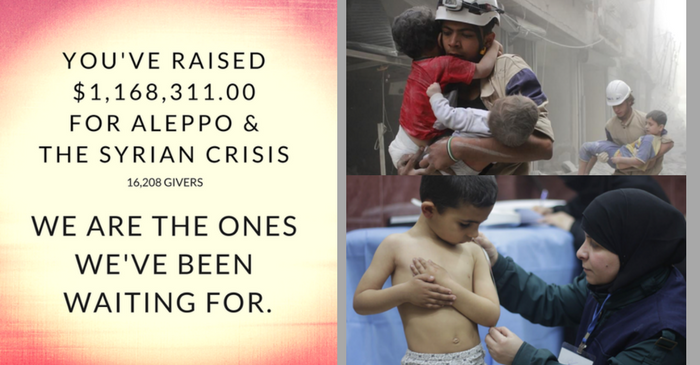 $1,168,311 to provide life-saving aid to refugees in Aleppo and across Syria, including the purchase of two ambulances and a mobile hospital, as well as funding a pediatric hospital. 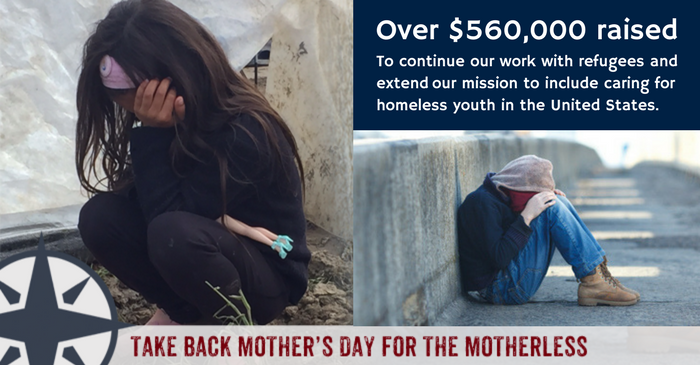 $560,000 to continue our work with refugees abroad and to care for homeless youth in the United States, including among the most vulnerable of the homeless – teen moms, LGBTQ+ youth, and those who have aged out of the foster care system. 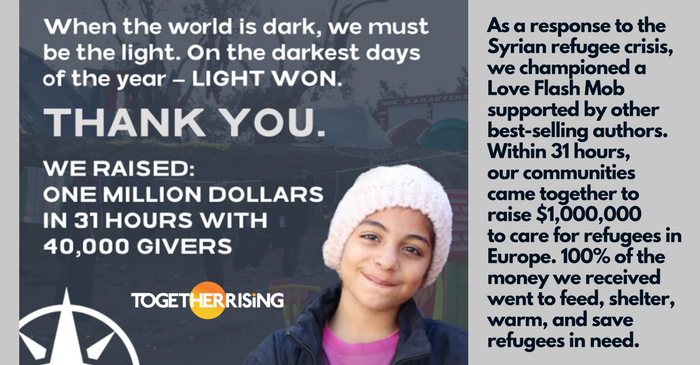 $1,000,000 in 31 hours to provide food, shelter, and warmth for refugees in Europe. 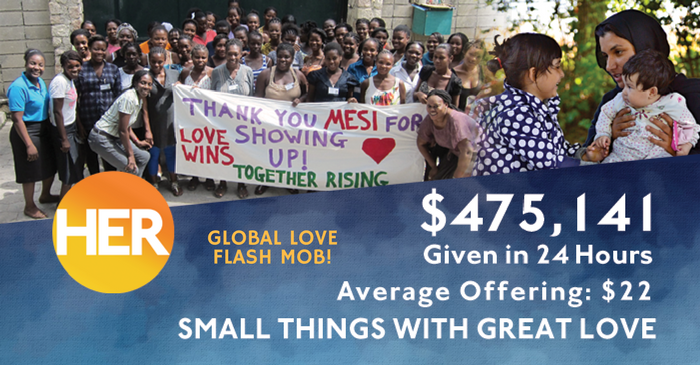 $475,141 in 24 hours to build a maternity wing in Haiti so women could give birth with dignity, and to provide clothing and strollers to mothers giving birth in refugee camps in Berlin, Germany. 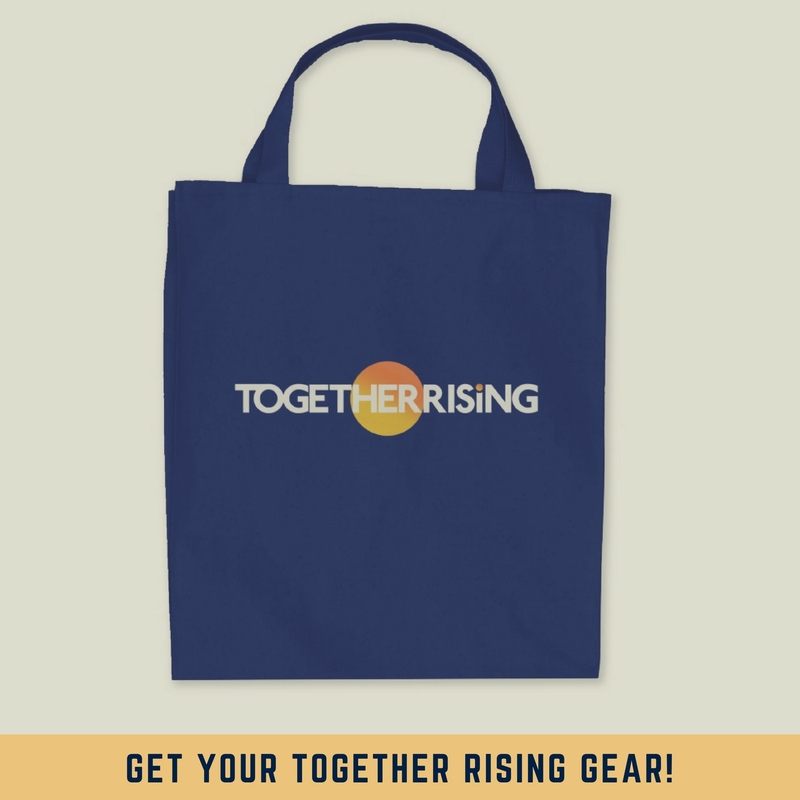 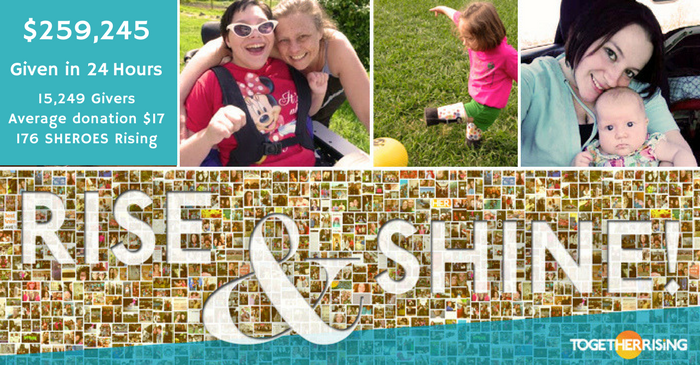 $268,248 in 26 hours to meet the needs of everyday heroes across America – including gift cards to ease families’ financial burdens, funding to enable a ten-year-old activist to build local homeless shelters, and running legs for a four-year-old whose legs needed to be amputated. 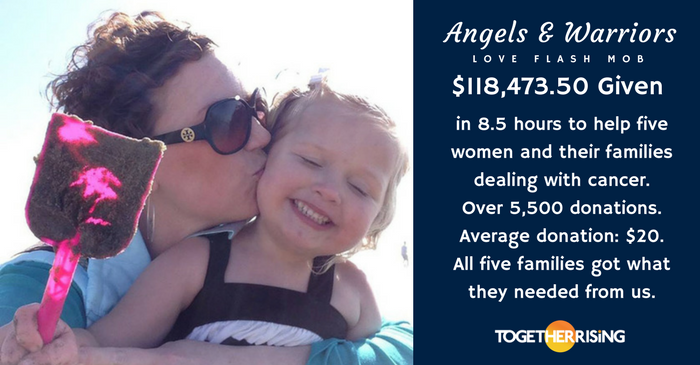 $118,473.50 in 8.5 hours for five women fighting Stage 4 cancer and their families, including providing a last vacation with a family as an opportunity to make new memories, and paying off a mortgage so the grieving family would not be burdened with the expense. 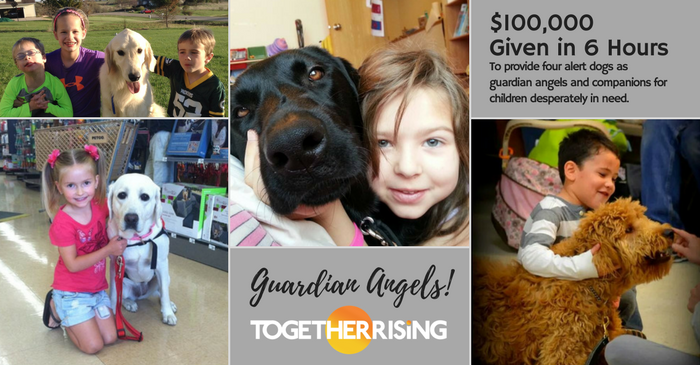 $100,000 in 6 six hours to provide four alert dogs for children desperately in need of canine companions because of medical conditions. 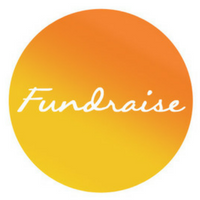 $85,000 in 5.5 hours so a homeless shelter for young mothers could bring a new teenage mom and her young son off of the Indianapolis streets to live and thrive in the home.